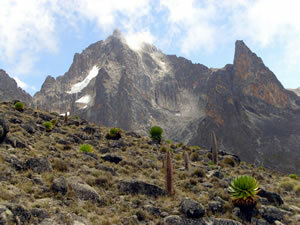 Mt Kenya is the highest Mountain in Kenya, and the second-highest in Africa (after Mount Kilimanjaro), The main summits are the twins Batian and Nelion, which can only be reached by means of technical climbing, and the third highest summit, Point Lenana, (4985m) - is glaciated but accessible to walkers, making the walk around point Lenana the most beautiful expedition in the East African mountains. Kenya, with such diversity in religion and nationality, does not have particularly unique culture. Culture of Kenya is an amalgamation of thoughts of various communities, ideas of different nationalities and philosophies of divergent religious beliefs. 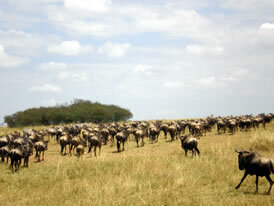 But its diversity in cultural behavior, the people of Kenya live in a mutual harmony and friendliness with each other. 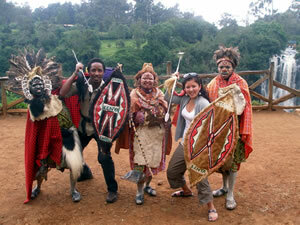 Take Kenya Cultural Tours to know about the cultural accord and the lifestyle of the Kenyans. A focus of Trailmakers Adventure is to promote wilderness education and conservation practices with the primary, secondary ,Universities Students Internationaly rest to us. Trailmakers Adventure welcomes school groups, boy scouts and girl guides to spend time at our facility to learn about the Mt. Kenya ecosystem and to gain first hand knowledge of this precious resource. 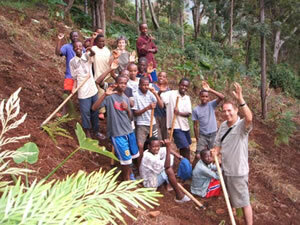 Trailmakers Adventure is proud to invites volunteers from all walks of life. This is part of internship program where young adults venture into the real world to get a glimpse of what life will be like after graduating from your colleges or Universities, we also invite adults as well as high-school students who would be interested in volunteering in home for orphans children, school buildings and sports.